The icon for the front of the altar at St. Paul’s has been completed by the iconographer Karsten Boyer. This icon was purchased with memorial funds given in loving memory of our former pastor, the Archpriest Theodore Mikovich. Depicted in the icon with the Lord Jesus are the five saints whose relics are inside the altar (which were all acquired by Fr. Ted during his pastorate), plus one whose relic is outside the altar for veneration (St. Raphael). 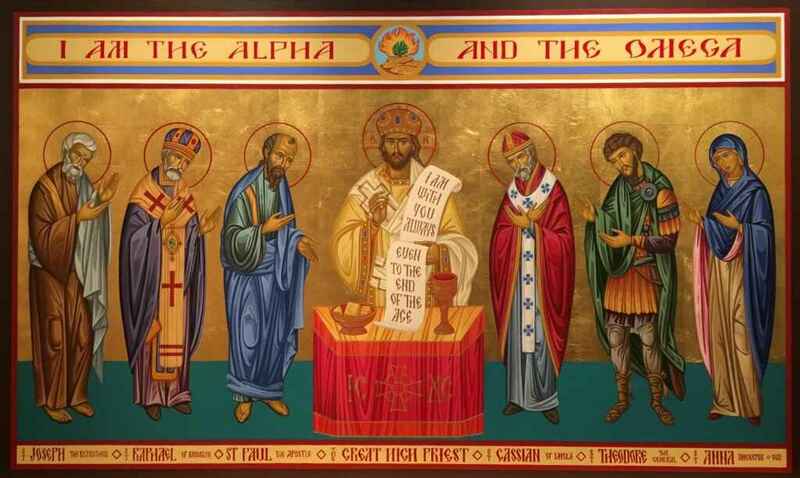 Left to right, the images are: St. Joseph the Betrothed, St. Raphael of Brooklyn, the Apostle Paul, Christ the Great High Priest, St. Cassian of Imola, St. Theodore the General, and St. Anna the Ancestor of God. We are grateful to Karsten for his fine work, as well as to Kh. Joanne and the entire Mikovich family for their blessing and contributions toward this project, and finally to all who gave in memory of our dear Fr. Ted. May his memory be eternal! A recording of this sermon is available via Ancient Faith Radio. Moses, found in the river by the daughter of Pharaoh, the King of Egypt, was raised in the Egyptian court and given all the luxuries of an Egyptian prince: wealth, power, influence, popularity. And yet upon reaching adulthood, he chose to leave behind a life which would have been the envy of everyone in Egypt and indeed throughout the world. He left behind his identity as an Egyptian prince and identified rather with the enslaved Hebrews, his true people. He chose to forsake his status as a master and voluntarily became a slave. In today’s epistle reading, we hear not only of the powerful choice of Moses, but also of the decisions of numerous prophets and saints of the Old Testament. We hear how they subdued kingdoms, stopped the mouths of lions, worked righteousness, endured ridicule, abuse, poverty, torture and even death. Some were sawn in half, tempted or killed with the sword. They wore the worst kind of clothing and wandered in deserts, living homeless, rejected lives. What could motivate all these Old Testament saints to do what they did? What made Moses leave behind the Egyptian palace? What made Daniel gladly go into the lions’ den? What inspired Esther to risk her life? What fueled the hearts of the Three Holy Children to endure the fiery furnace? What motivated the prophets to suffer rejection and even death? What was it that gave these people their courage? To learn the answer to this question, we must look back, even before Moses and all the prophets, back to the first human beings, Adam and Eve. When Adam and Eve sinned, they were expelled from Paradise. The expulsion from Paradise was the liturgical theme for this past Sunday, as we stood on the threshold of Great Lent. The dominant image in the hymns of last weekend is Adam, sitting outside of Paradise and wailing as he mourns over what he has lost. What did Adam lose? Did he lose a nice, green place to live, complete with palm trees and all kinds of fruit, populated with animals that he got to name himself, all accompanied by a woman made especially just for him by God? Yes, he lost all of that. But Paradise was much more than simply physical comfort and pleasant surroundings. What was the treasure that Adam lost, driving him to weeping on the doorstep of Paradise? Adam lost his ability to see and experience God. God made Adam and all of us with the purpose of seeing Him and having an intimate communion with Him, a direct experience of the divine life. It was this direct experience of God which made Paradise what it was, and when Adam sinned, he ripped himself away from God, expelling himself from the Paradise of life with the Holy Trinity. When the Fall of Man occurred, the entire universe was thrown out of balance, because man was made by God to serve as the priest of all Creation, offering up the created world back to God for His blessing and invigoration. When the priest no longer offers up the sacrifice, it is no longer blessed and filled with the life God desires for it. And this is why we have so-called “natural” disasters, because the sin of man disconnects the whole cosmos from God. And into the midst of this unbalanced Creation, where mankind has lost his ability to see and experience God, to connect to Him and to connect the world to Him, God chose to reconnect Himself to us. He came to this earth and became a man, the God-man Jesus Christ. We could no longer see and experience God because of our spiritual disconnection, and so God chose to make a touchable, physical connection with us, by becoming one of us, by taking on a human body just likes ours, a human soul just like ours, by assuming our human nature into Himself, the same as us in every way except sin. And thus through the physical connection, we can receive the spiritual connection. Because our spiritual eyes had been blinded, the Lord came and appeared before our physical eyes. And if we look at Him with faith, then we see not only a man, but also the God before the ages. The Scriptures tell us that Moses made the choice to leave behind Egyptian luxury for Hebrew slavery precisely because he had a vision of Christ, though he could not see Him clearly yet. The prophets and saints suffered and often died because they could see God in Christ. Historically, some lived before His time, certainly, but their desire to reconnect what Adam had disconnected was so powerful that God gave them a foretaste of His appearance in Christ. This is why Jesus said that even Abraham rejoiced to see His coming, centuries before his birth from the Virgin Mary. Today is called the Sunday of Orthodoxy. Today should therefore tell us something about who we are as Orthodox Christians. 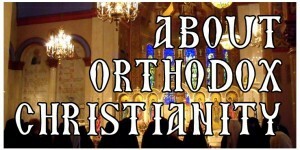 And what is it that we remember and celebrate on the Sunday of Orthodoxy? We celebrate the historical event in the year 843 of the return of the icons to our churches, after more than a hundred years of iconoclasm, the heresy that taught that icons do not belong in the Christian life. Many people died for their faith, believing that icons were not only a normal but necessary part of what it means to be Christian. But why? 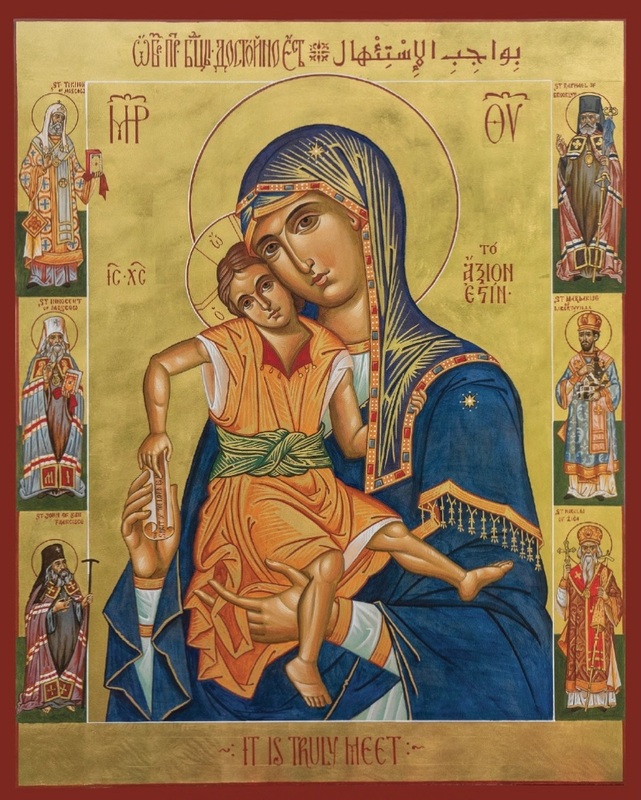 What do icons have to do with Orthodoxy? What do we see in the icons? The first and most significant of all the icons is the icon of Jesus Christ. When we look at His icon, we can see that God became a man: a real, flesh-and-blood man Whom you could see, touch, talk to, and draw pictures of. The icon of Christ tells us that He is a real man. The icon of Christ is a confirmation for us that God chose to reconnect Himself to us, to provide for us the way to see Him after Adam lost that ability. And the icons of all the saints tell us the same story, that here are real, living people who have seen God in Christ. Some may look at the prohibition in the Ten Commandments against making what it calls “graven images” of God or the creatures of this Earth and bowing down to them and say that icons must therefore be idolatry and against God’s command. But those who say this probably are not considering the many images that God Himself directly commanded the people of Israel to put onto the Ark of the Covenant, in the Tabernacle, or throughout the Temple of Solomon. Imagery has always been intimately linked with the spiritual life, both for Jews and for Christians. What is forbidden is not imagery, but idolatry, which is the worship of created things rather than the uncreated God. Idolatry’s essence is that it directs the worshiper not toward God, but toward a phantom, and this is the meaning of the Greek word eidolon from which our word idol comes. An idol is something false, something illusory, something transitory. But a true image, an eikon in Greek, points us instead to something which is true and real. And thus, Christ Himself in the New Testament is called the icon of the invisible God. With the coming of Christ, we now can quite literally see God. Iconoclasm, the heresy which teaches against the use of icons, is thus precisely a denial of the Incarnation, which is why the overwhelming witness of 2000 years of Christian history supports the use and veneration of images as part of Christian worship of the Holy Trinity, but it does not support turning them into idols, as somehow magical objects with a power in themselves. They have no such power. There is only the power of God, which sometimes works through them, just as it has done through many physical objects both in Biblical and subsequent Christian history. Therefore, when we look at the icons, touch the icons and venerate the icons, we are connecting not with wood and paint, but we are connecting through them to the living God, Jesus Christ. Today is called the Sunday of Orthodoxy precisely because icons are a powerful witness to what it is that we as Orthodox Christians are trying to achieve, through God’s grace. When mankind sinned, we lost our ability to connect to God. But if we have faith, He will grant us a vision and therefore an experience of Himself, according to the measure of our cooperation with Him. And having had that experience, we will find that we, too, have the courage, confidence, love and fire of the prophets and saints. In the Gospel today, we read the story of Christ calling the Apostles Philip and Nathanael. When Philip sees Jesus, he goes to Nathanael and tells him that they had found the one Moses and the prophets were looking for: the Messiah, the promised Saviour. Receiving a vision and experience of Jesus, Philip recognized in Him the hope that Moses, the prophets, and all of his ancestors and family had shared for centuries. His immediate response was to go out and share this experience with Nathanael, saying to him, “Come and see.” Having received the vision of Christ and experienced God, Philip immediately goes out to tell someone else, to reconnect someone else to the divine power that is meant for each of us to experience. When Nathanael then goes to meet Christ for himself, he is amazed when Jesus tells him that He had seen him under the fig tree, even though no one had told Jesus about where Nathanael was sitting. But Jesus tells him that he will be amazed not only with that, but he will be granted a vision of heaven opening, and the angels of God ascending and descending on the Son of Man, Who is Jesus Himself. Do we want to reconnect with God? Do we want to see heaven opened, and the truth of the meaning of our lives revealed? Do we want to be filled up with the energy of God Himself? Then let us accept the invitation of Jesus to come see Him. And the good news of the Gospel is that this invitation is not to some ephemeral, emotional or mental experience, but to a direct, physical encounter with the living God. The awesome miracle of the Incarnation is that what was untouchable is now touchable. What was invisible is now visible. What was inaccessible is now served to us in the holy power of His Body and Blood. To Him therefore be all glory, honor and worship, to the Father and to the Son and to the Holy Spirit, now and ever, and unto ages of ages. Amen.